Jordan Brand is set to release a new signature shoe of one of their NBA superstar model, which is expected to get a lot of attention once it hit the market. 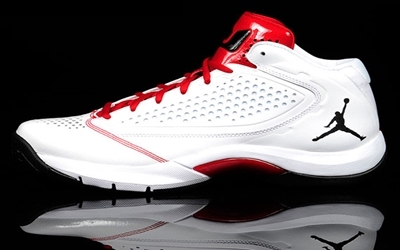 Called the Jordan D’Reign, this secondary Dwyane Wade silhouette will be released in White/Black-Varsity Red colorway. According to some speculation, the name “D’Reign” symbolizes an expectation that Wade and the Miami Heat will reign as the NBA champions this season, but can turn into just a playoff shoe if the Heat fails to capture the title once again. Catch this out soon and don’t dare miss it!